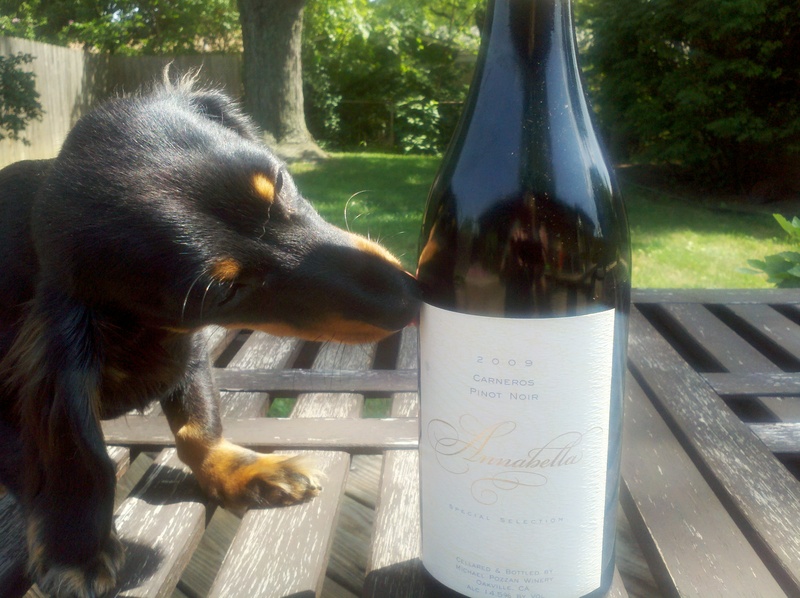 Wine Review: 2009 Michael Pozzan “Annabella” Carneros Pinot Noir | Wine Splash! This is not your normal California fruity Pinot Noir. This wine actually has a little more character and a little less fruit. It honestly seems to taste closer to an Oregon Pinot Noir and has more flavors and layers. On sight, garnet in the center and more ruby colored along the edges. The nose has aromas of ripe cherry, herb, cinnamon, mushroom, and oak. All the characteristics that normally lead to a more earthy style wine. On the palate, lush black cherry, raspberry notes, earth, and clove. Medium to full bodied with a soft, elegant mouthfeel. A nice long finish that brings out more sweet cherry, cinnamon, plum pit, and a toasty vanilla oak finish. Lots of layers and good balance of fruit and rustic flavors. Pair this medium smoked cheeses, wild game, smoked duck, pork, and tomato based pasta’s. On our SiNoTas scale, we give the 2009 Michael Pozzan Annabella Carneros Pinot Noir an A-. This wine came under the radar for us since it was not your normal fruit bomb California Pinot Noir. It had more character and style. More layers and more earthiness. If you have a 2009, it should hold well through 2014. WineSplashing!